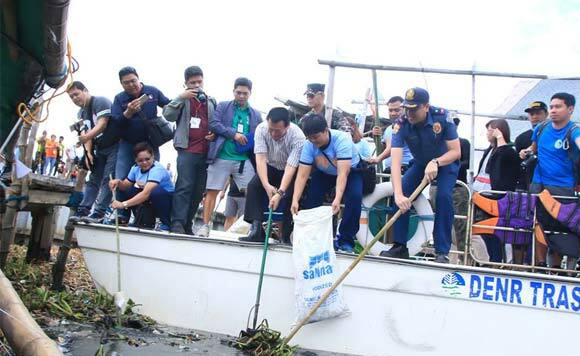 During last weekend’s cleanup drive for Manila Bay, Bulacan Governor Wilhelmino M. Sy-Alvarado said individuals should “take a dip” for environmental rehabilitation, instead of pointing fingers and blaming others. “Ang tubig ay biyaya. Hindi dapat ito maging sanhi ng problema. Oras na upang bawat isa sa atin ay kumilos upang masolusyunan ang problema na tayo rin naman ang nagdulot sa ating Inang Bayan,” said Alvardo. The politiko led the massive cleanup drive in some of the municipalities and cities in the province, with officials and representatives from the Bulacan Police Provincial Office, Bureau of Fire Protection, Department of Public Works and Highways, Department of Science and Technology, Bureau of Jail Management and Penology, National Housing Authority, Department of the Interior and Local Government, water district personnel, and non-government organizations. The province has also ordered the closure of six establishments in Meycauayan and Marilao for violating various environmental laws.